The beautiful public water Lac de Lacanau in southern France near Bordeaux offers a good number of big carp. The lake contains nearly 2,000 hectares of water with fish known for their fighting spirit. France of course has many big public waters, many of which are located in the northern part of the country. 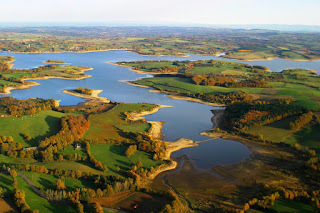 Deep in the south, near the famous (pay water) Rainbow Lake near Bordeaux, is Lac de Lacanau, in particular that will be familiar to many tourists. The location is near the sea and the village of Lacanau is known as a surfing village, especially during the summer months is a huge tourist attraction because of high waves and of course the mostly great weather. 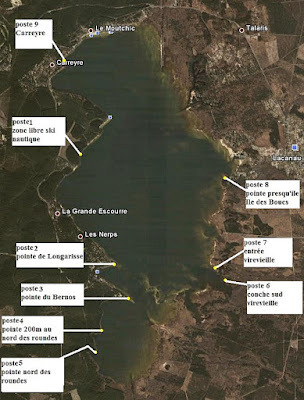 Lac de Lacanau has a maximum depth of 8 meters. 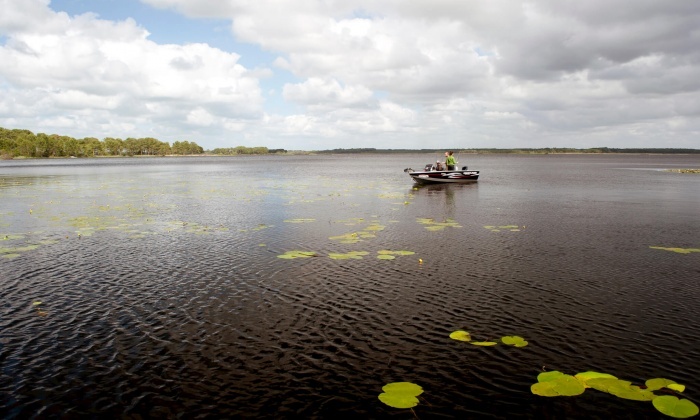 The water, which was a swamp area in the distant past and was connected with the sea, is known as a difficult water for carp anglers. Night fishing is allowed on the lake of Lacanau, which is open all year for anglers (partly because of the busy summer season with many tourists). If you want to fish the water its best to make a reservation 48 hours in advance to make sure you will have access to one of the nine spots around the lake of Lacanau Via the special the facebook page you can claim your spot. Reservations can be made by sending an email to Ludovic Einhorn (see Facebook). More information is also available on the website of the French water management (the AAPPMA Gaule Canaulaise). Here is also a nice card with depth meters per sector. (Night) Fishing is also permitted for up to 10 days and 9 nights in the period between March 1 and June 31 and September 1, and September 31. Of the nine sites, there are two (spot 6 and 7) open longer (from March 1/31 July). These two sites (see map above) are outside the touristic parts, where also water skiing and other water activities take place in the summer season. Some sites are only accessible by boat. In order to use a boat, an extra charge has to be paid (20 to 50 euros per day depending on the engine of the boat). The carp file on Lac de Lacanau is very diverse, thanks to the steady expansion of new fish. On a regular basis new carp is added to the lake, for example with 400 kg of carp with a weight of 3 to 6 kg stocked in 2013. These fish mingle with the much older existing carp in the water. The carp at Lac de Lacanau are known for their tremendous fighting spirit with a drill almost always producing huge waves by the fighting fish, which are not easily to land. According to recent estimates, 70% of the carp are common carp and 30% are mirror carp, which is quite unique for France where mirror carp often are most abundant. The average weight is just under 10 kg, with a large number of fish around 15 kg. The record is unknown, but fish over 20 kg are no exception to Lacanau. The lake is also populair with pike anglers because of the many huge pike over over 1 meter being caught at Lacanau. Like we mentioned earlier, Lacanau lake is quite near the famous fishery Rainbow Lake near Bordeaux. On the map above (from our Dutch website) you can see both waters exact location on the map of France.